From The Red that Colored the World. Pedro Antonio Fresquís (aka Truchas Master), Our Lady of St. John of the Lakes, New Mexico, early nineteenth century. Water-based pigments on cloth and wood, 11 x 7 ½ x 1 3/16 in. Museum of International Folk Art, Gift of the Historical Society of New Mexico. Image courtesy of the Museum of International Folk Art. Photograph by Addison Doty. With funding from the NEH, the Museum of International Folk Art has been creating folk art exhibitions to share with the American public since 1980. In addition to traveling the country, many of these exhibitions have had a lasting impact on the City of Santa Fe. A 1987 grant helped the museum create an exhibition exploring family, faith, and Hispanic heritage in New Mexico and Southern Colorado that remained on display for nearly 25 years. Another grant helped it create Recycled, Reseen: Folk Art From the Global Scrapheap an exhibition that featured art made from recycled materials. Twenty years later, the city continues to host Recycle Santa Fe, an annual art festival that supports artists and small business owners in the region. 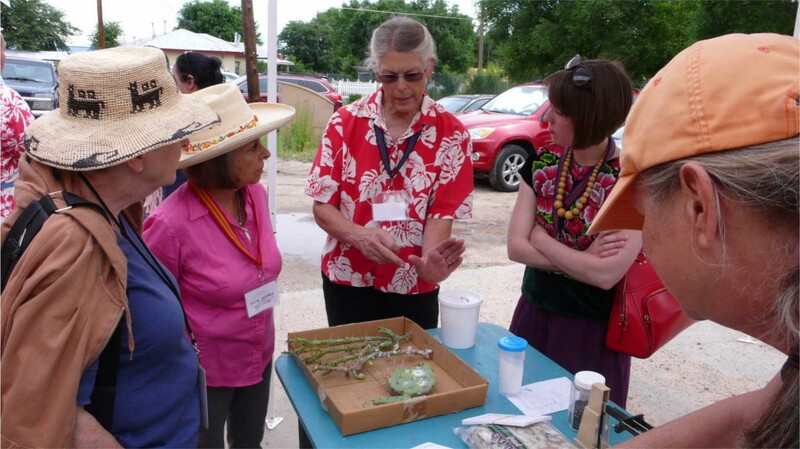 Recycle Santa Fe is a direct outgrowth of the exhibition. From The Red That Colored the World. 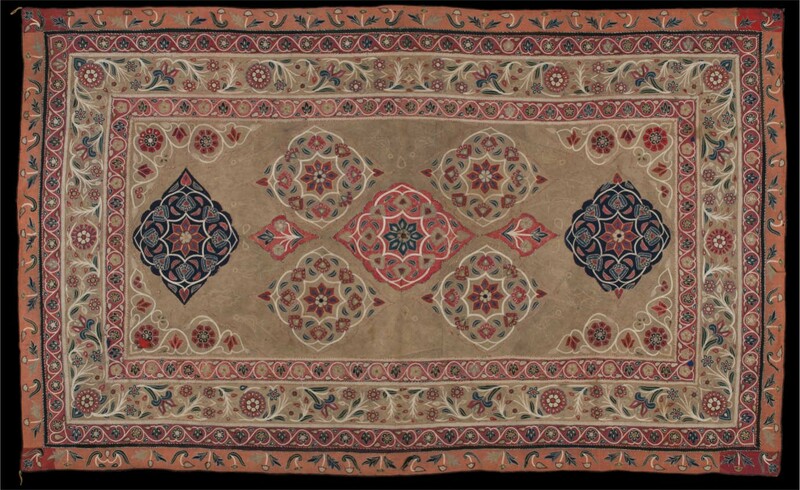 Iran Trade Cloth from South Persia, mid-19th century. Wool embroidery and applique. 75 3/16” x 45 11/16” Museum of International Folk Art, Gift of Cyrus Leroy Baldridge. (A.1965.31.40 SW) Photo by Blair Clark. Image courtesy of the Museum of International Folk Art. 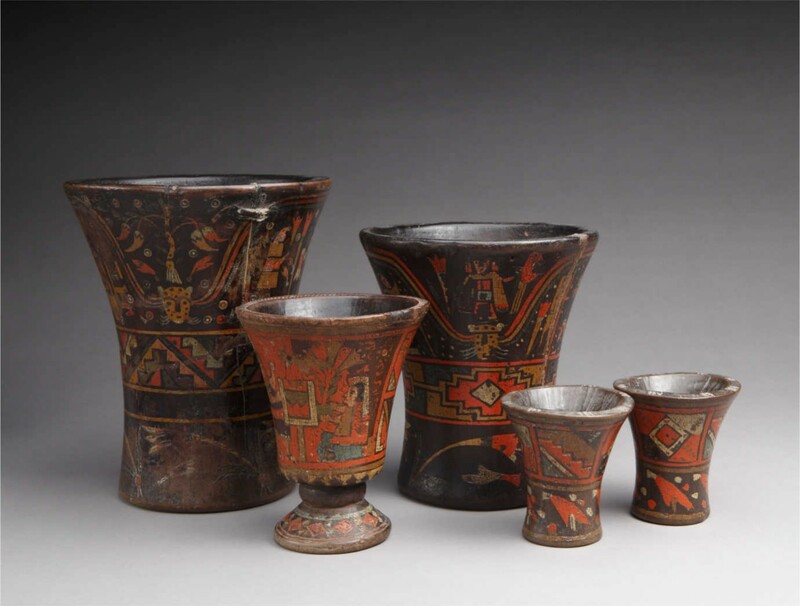 With NEH funding, the Museum of International Folk Art has produced exhibitions on Turkish folk art, Tibetan culture, ceramics, and Carnaval celebrations from around the world. All of these exhibitions have placed the region’s peoples and cultures in a global context. And for each of them, the museum has produced workshops and teaching materials for K-12 educators as well as a wide variety of public programming. As part of the public programming for The Red That Colored the World, dyers inspect cochineal bugs on a cactus. Image courtesy of the Museum of International Folk Art. 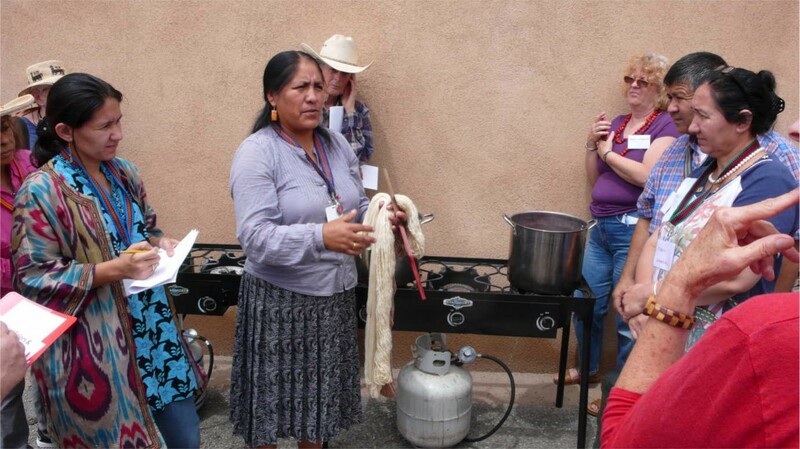 An expert dyer discusses dying with cochineal. Image courtesy of the Museum of International Folk Art. 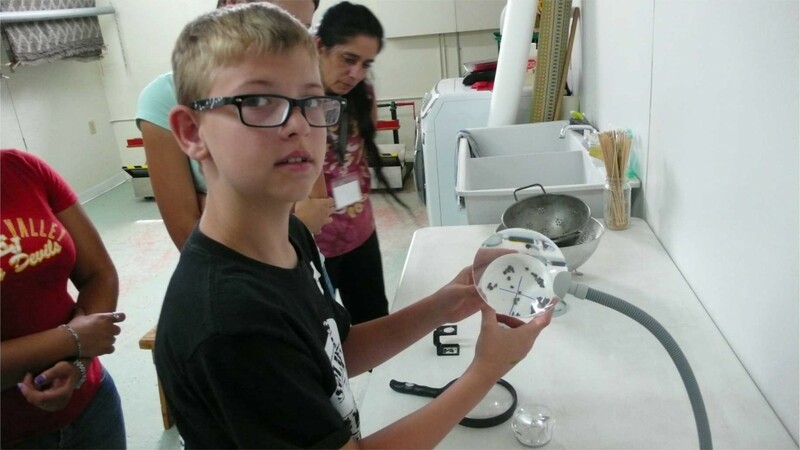 Youth examine cochineal bugs. Image courtesy of the Museum of International Folk Art. The museum’s most recent exhibition, The Red That Colored the World, explored how the history of the color red, as made from the cochineal insect, is as much a history of world trade and economics as it is a history of science and art. The exhibition placed works of fine art on display next to hand-crafted textiles and clothing. And an effort with other Santa Fe museums to produce corresponding color-themed programs has fostered new partnerships in the city. After premiering at the museum in Santa Fe, the exhibition traveled to the Bowers Museum in Santa Ana, California; the El Paso Museum of Art in El Paso, Texas; the Foosaner Art Museum in Melbourne, Florida; and the Louisiana Art and Science Museum in Baton Rouge, Louisiana. From The Red That Colored the World. 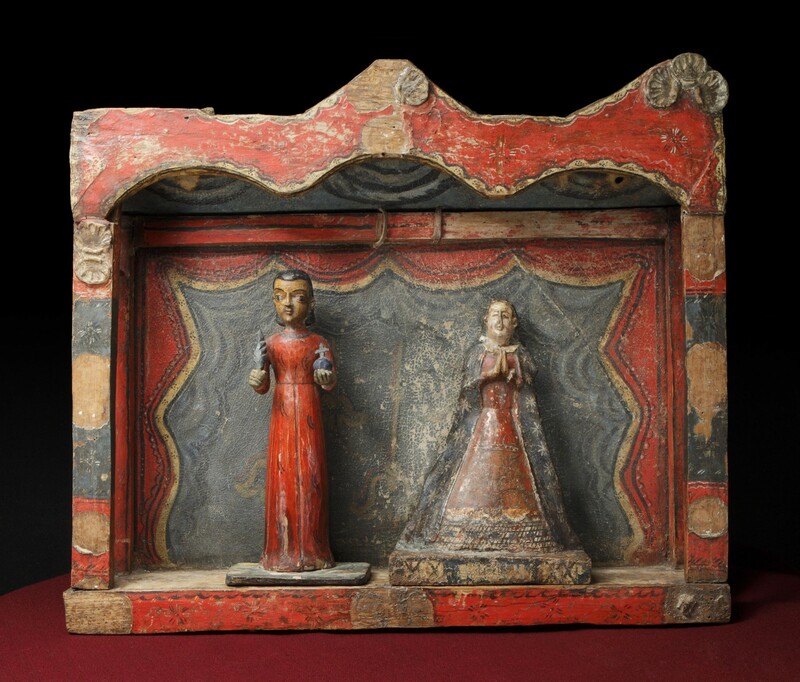 Collection of wooden of Keros, Peru, 17th circa 18th century. Wood, paint, 8 3/8 x 6 7/8 in., 5 ½ x 4 ½ in., 3 3/8 x 3 ¼ in. Private collection. Photograph by Addison Doty. Image courtesy of the Museum of International Folk Art.